Full disclosure: I am not a medical doctor and I have never had cancer. With that said, let me tell you why I developed The Cancer Cure Experiment and how it came into being. As a former pastoral care minister, I prayed for many people who had cancer. There were a few who had what appeared to be miraculous healings—and many who did not. However, the lack of “success” did not deter me from praying—it only drove me further to learn how to pray for people with cancer. Years ago (probably 15 or so), I came across a newly released book titled Remarkable Recovery. I was intrigued by some of the cancer stories that the authors shared. One story in particular caught my attention. It was the story of a man who had been treated with a placebo and had been cured—specifically by his faith in the placebo. It made me think that there must be some connection between the mind, the body and faith that I did not yet understand. From what I knew of cancer and its development (which, I confess, wasn’t a lot), it always seemed to me that cancer cells were cells “in rebellion.” From a faith perspective, I saw them as cells in rebellion against God, who created cells to normally function in cooperation with each other and in accordance with His design. But, somehow, some cells took on a “mind of their own,” becoming strongholds that sought their own way instead of God’s way—to the destruction of the body in which they were operating. 4 for the weapons of our warfare are not manmade, but powerful through God to overthrow strongholds. 6 and we are ready to deal powerfully with all disobedience until obedience results. 7 You look at what’s on the outside. However, if you are certain that you belong to Christ, then you will desire this obedience in yourselves, too. 8 For I am not ashamed to boast about the authority that the Lord has given us for building you up so that you will not be overcome. In my understanding, the ungodly, rebellious (cancer) cells needed to “line up” in complete obedience to Christ. This could be accomplished by exercising “authority” and using the “weapons of our warfare” that God has given us. However, how that authority was to be exercised and what those weapons were remained a mystery to me. All I knew was that these “weapons” would be powerful enough to “overthrow” the cancer strongholds. I decided to research further, along what I thought was the unique concept of cells in rebellion. 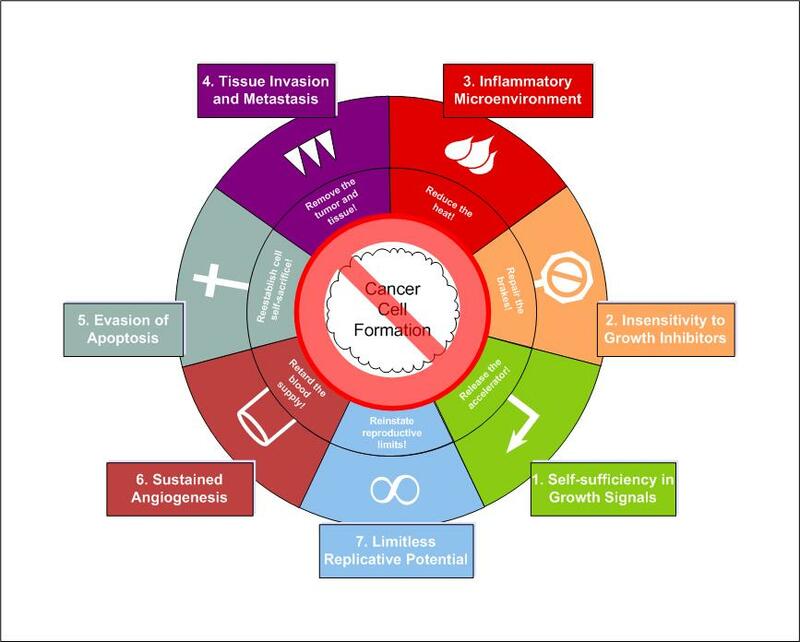 Imagine my surprise when I came across a scientific explanation of the development of cancer by a leading cancer researcher titled One Renegade Cell! I devoured this book by Robert Weinberg in a few days. During the course of my reading I was overcome again and again by the onslaught against the body’s defenses by the renegade cancer cells. Every defense that the superbly designed body that God had created was thwarted or overcome by a malevolent force that would stop at nothing short of conquest. I was amazed that what was described solely in scientific terms left me with such a sense that what was going on in the body was much more: the attacks were not an “evolutionary consequence” to determine which of the fittest would survive—it was rather a picture of an evil intent dead set on taking over the human body completely. 3) Books from a mind-body-spirit perspective that were thinly veiled “your healing is within you” approaches (these couldn’t see that this was a spiritual battle that couldn’t be won through human strength or abilities). All of these approaches left me wanting something more. And I firmly believed there was something more. I read Smith Wigglesworth who stated that he believed that all cancer was demonic in origin. I thought I agreed with him, but I wasn’t sure. I wanted more details. Then I came across The Cancer Idol. This book blew the doors off for me. What an amazingly honest, transparent journey of discovery Fred Tamagi described in his battle with cancer! Here is someone who has faith, but wrestles with it—and grows in the process—as God continues to reveal Himself more and more through His Word throughout the painful consequences of radiation therapy. And God not only continues to reveal more of Himself—He continues to reveal more and more of the nature of cancer: a malevolent force, seeking nothing less than total dominion. In fact, it became apparent to me that cancer could be described in scriptural terms: Your enemy prowls around like a roaring lion looking for someone to devour (1 Peter 5:8b, NIV). Cancer is a devourer. Even though One Renegade Cell is a description of the biology of cancer, I decided to go back through it from a spiritual perspective, looking at what specific spiritual remedies we have against the wiles of the cells in rebellion at each of the points where the body’s defenses are attacked. I believed this would provide us with “weapons of warfare” with which we could “deal powerfully” against the “ungodly intent” of the enemy that seeks to destroy us. These spiritual remedies are the basis of The Cancer Cure Experiment. As I have said elsewhere, they are borne out of a belief in the inerrancy of God’s Word, the insight provided by medical research, stories of remarkable recovery, and the efficacy of faith-full prayer. It is my prayer that you will embark on The Cancer Cure Experiment journey. It is a walk of faith. It is not a cookie-cutter approach nor does it claim to be a sure cure. However, it is an approach in which you can be fully involved and through which you can participate in the healing process with Jehovah Rapha, “the God who healeth thee” (Exodus 15:26). It is also an approach in which you can share your highs and your lows, your joys and your sorrows, and what you have learned with others who are on a journey similar to yours. It is my prayer that, through The Cancer Cure Experiment, you will be brought into close fellowship with the Lord Jesus Christ, Who has promised to “never leave you or forsake you” (Hebrews 13:5, ESV). In that intimacy with Him, may you find healing for both your body and your soul. My daughter, Christa, was diagnosed this summer at 14 (she is now 15) with osteosarcoma (bone cancer) in her right tibia with suspected metastasis in her lungs. I have been on a journey much like yours but that for awhile detoured through a lot of medical and alternative medical remedies. Early in this crisis and lately, I have begun renewing my mind and placing my focus on the spiritual remedies. As a single mother who has experienced much heartache in my life and has watched her three children experience much rejection and heartache, it is hard to describe the emotional difficulties we have experienced. However, I am certain that God loves us and He has shown His hand … I believe that The Cancer Cure Experiment will be of help. Thank you. My teenage son has battled Ewings Sarcoma for two years. He has been in remission for two years and now they think it is back in his lungs. Jesus Christ is our hope. Thank you for this website! My neighbor’s son has cancer and they had tried many things to cure it. The doctor said he had a level 4 cancer heading toward death right now.Then the father asked a priest to their house to try some spiritual remedies. The priest said that there are demonic activities in their house and it’s feeding on the son slowly. So I don’t know how deep this problem is but I believe that cancer may have an involvement with supernatural stuff. I pray for people and GOD heals them. Many times its getting their minds awakened to a walk of faith & understanding GOD’s word. Could you give me insight into cancer, deliverance & anything that would help people to be Healed and set free.